Council bosses are yet to enter into formal talks about the future of a Wigan shopping centre, more than a year after they bought it for £8m. A lead officer has this month repeated the authority’s aim to bring fresh retail and leisure facilities to The Galleries. But discussions with potential providers have so far not progressed into serious negotiations, the town hall has admitted. 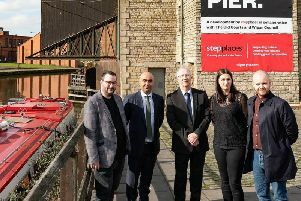 Speaking at an Invest in Wigan business event, director of economy Becca Heron said the council was “actively looking at” the potential for a hotel and cinema in the town centre. “There are great things coming for Wigan,” she added. Although it is understood various options remain on the table to provide a mix of leisure and retail facilities, there are no “firmed up” proposals yet for The Galleries, a spokesperson said. The sprawling complex would be the town’s prime location for such a leisure offer with the currently vacant Tower Grand site next to the local authority’s Life Centre the subject of speculation about a hotel development. The council’s recently published strategic framework for the town centre references potential for a cinema, bowling alley or indoor soft play centre at The Galleries. A private sector led £60m masterplan to transform the shopping centre approved in 2014 – which included a cinema and restaurant complex – fell through after its ownership changed hands. The site could also play a part in a long-term council aspiration to form a partnership with a higher education or university provider to create a campus in the town centre. The Galleries has struggled to keep and attract retailers for years. The Marketgate section hasn’t been full for decades and there has been a gradual decline in shop numbers in the main complex too, especially after the Grand Arcade opened 12 years ago and then the recession hit, preventing the units vacated by Galleries businesses decamping to the new mall weren’t filled by first-time retailers as planned. The council used its Manchester Airport dividend to buy the centre.